Amid the vast and ancient landscape of Western Australia’s East Kimberley region sits the untamed natural beauty of El Questro. El Questro is a destination unlike any other and offers the freedom to explore one of Australia’s last true frontiers. From deep gorges and majestic mountains to thermal springs, mud and salt-flats, rainforests and cascading waterfalls everything the Kimberley has to offer is located across the property's 700,000 acres and is why we say that El Questro is the heart of the Kimberley. Perched on a clifftop with views across the Chamberlain River and Gorge, El Questro Homestead is an oasis of privacy and understated luxury in one of the country’s wildest and most beautiful regions. An exclusive retreat for a maximum of 18 guests, El Questro Homestead allows you to fully immerse in an outback experience that is both adventurous and luxurious. Staying at El Questro Station is to stay in the hub of El Questro. The property is surrounded by ancient boab trees, rugged landscapes and an array of wildlife, all of which can be experienced by staying in one of the onsite family rooms with river and garden views. El Questro Station is the hub for many of the adventurous activities on offer at El Questro. Nestled in the shadow of the fiery red cliffs of El Questro’s Cockburn Ranges sits Emma Gorge Resort where 60 tented cabins blend seamlessly into the Australian wilderness. Just two kilometres off the sealed Gibb River Road, and a short walk to Emma Gorge itself, the resort brings the very best of El Questro’s flora and fauna right to your doorstep. 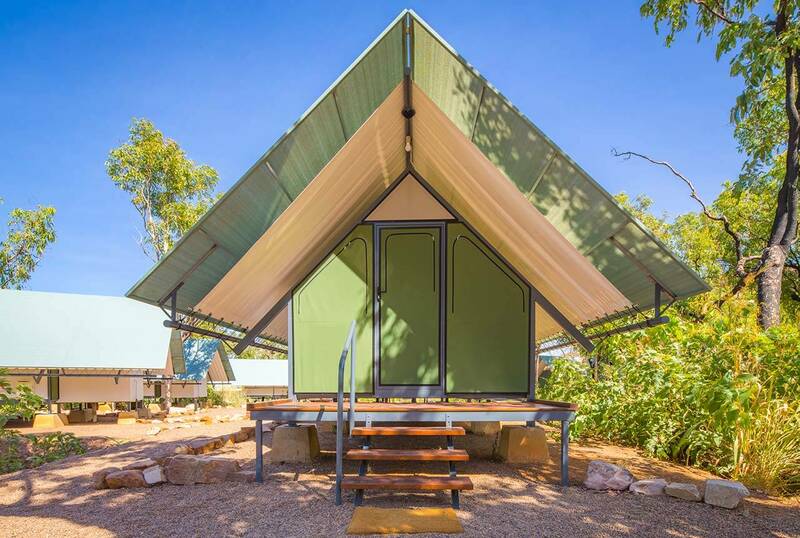 With allotted powered sites, general camping, private bush camping and Station Tents set up and ready for use, you really are at the hub of the activities and adventures that El Questro has to offer. Explore the beautiful Kimberley by day, then head home at sunset to swap stories around a campfire floodlit by the bright Kimberley stars. 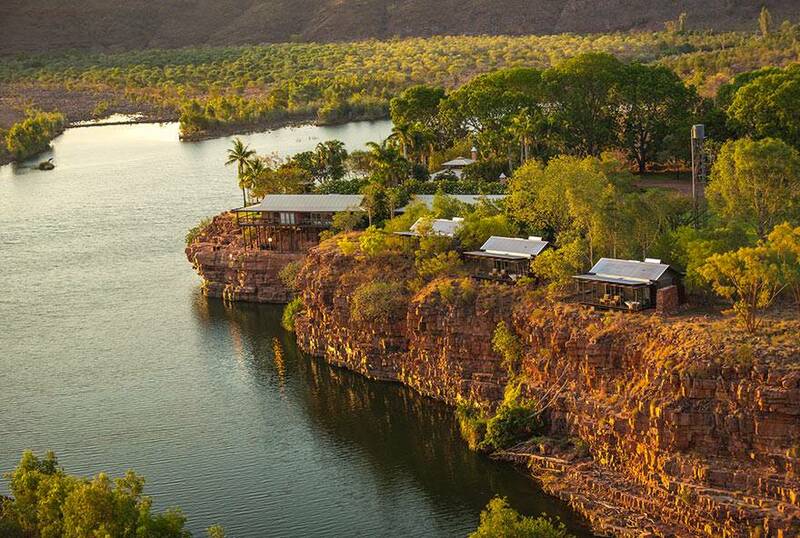 At just over 700,000 acres in size, El Questro is at the heart of your unforgettable, quintessential Kimberley holiday. Hike, fly, drive or boat across this vast ancient landscape or simply relax and unwind in the many waterfalls, springs and waterholes. Discover some stunning birds unique to the Kimberley region, from Rainbow Bee-eaters to the beautiful Gouldian Finch. Discover a secluded fishing spot on the Pentecost River and with help from your ranger, try your luck at catching one of the local fish! Over 5 amazing days and nights we combine the very best that El Questro has to offer, accommodation and our top activities. The Homestead can be your own private oasis when you book all 9 suites. During specified times, you can still have it all to yourself and save by booking only 6 rooms. Enjoy 3 nights for the price of 2 at Emma Gorge and El Questro Station during select periods during the 2019 season. Hurry! Offer ends 30 April 2019.